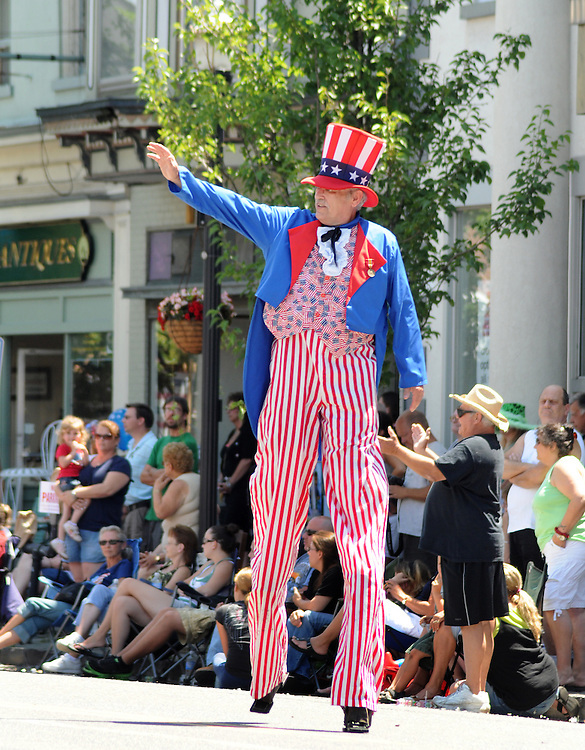 "Uncle Sam" marching in the Saugerties July 4th Parade on Main Street in Saugerties, NY on Monday, July 4, 2011. Photo by Jim Peppler. Copyright © Jim Peppler 2011.